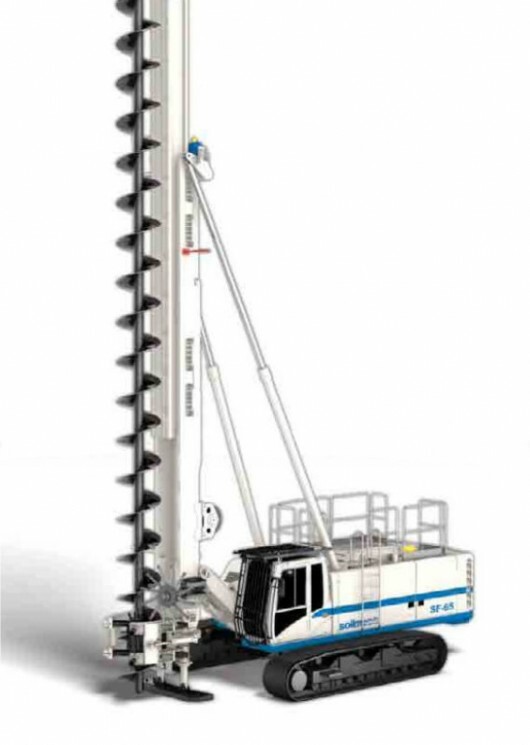 Soilmec rigs are self-mounting, easily transportable and designed to giving the best drilling solutions. The SF-65 drilling rig, is the evolution of many years experience with previous equipment dedicated to Continuous Flight Auger drilling technique. The SF-65 CFA is equipped with the DRILLING MATE SYSTEM (DMS) on a 12′ touch screen for monitoring and control of the rig performance and operating parameters.